Oh heaven. I hope these are in heaven. Or maybe that’s why it’s called heaven on earth. My husband LOVES chocolate chip cookies, so I knew when I made these it would be a hit. I was right. They are a hit. So much so, that there are only a couple left, and it made a whole baking sheet full! I may have eaten one. Or two. Or more. These are beautiful, and perfect in every way. Soft cookie dough on the inside, crunchy chocolate coating. Not much else to say or do, except give you the recipe! Beat cream cheese and butter until creamy. Add sugar and vanilla. Beat in flour and salt. Fold in chocolate morsels. 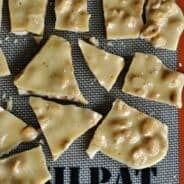 Scoop (about 1-2 Tbsp) onto a parchment lined baking sheet. Freeze for about 2 hours (or overnight). Once frozen, use hands to soften a little into a nicely shaped ball. Using a toothpick, dip into melted chocolate coating and return to parchment. Drizzle with melted vanilla bark. Refrigerate and enjoy. Holy moly! My Chloe would LOVE these! She is the biggest cookie dough fan ever! I’m printing this off right now! These look SCRUPMPTIOUS! I am a big fan of a chocolate chip cookie, and an even BIGGER fan of Chocolate chip cookie dough! Thanks for linking up to my first linky party! I am your newest follower and can’t wait to explore your blog more! Sometimes cookie dough is so much better than the actual cookie itself! You made great use of this. Thanks for linking this up to Fat Camp Friday! Hope to see you next week! Holy Moley! These look AMAZING! I can’t wait to try them! Thanks everyone, they really are so easy. And quite tasty, they don’t last very long. you have an amazing space here..love your presentation …great clicks..
Yummy! They look amazing and absolutely beautifully done! I’ve been trying to decide what dessert I wanna make next in our house and have decided it is definitely going to be one from your blog!! These are high up on my list of gotta make! These look delicious! I’m always looking for treats to make for teachers’ gifts and these look perfect. Who doesn’t like cookie dough? Would love for you to drop by and share them at A Well-Seasoned Life’s Sweet Indulgences Sunday. 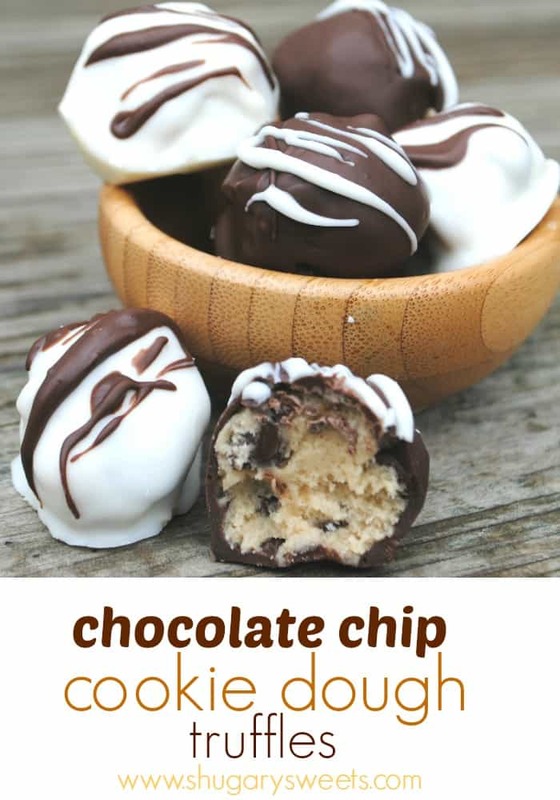 Love the Cookie dough balls! I will be trying them this weekend! I found you via Ladybird LN. I love the ingredients in this recipe. It’s a pleasant change from the cake pops. And you did a great job with the chocolate coating. intriguing! and i’m sure totally low fat. 😉 looks delish. 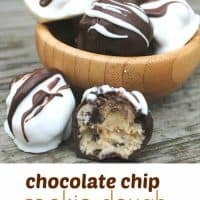 I love cookie dough — these look and sound so delicious! These sound SO good! I’m going to try them soon! Mercy! These look so good–can’t wait to make them. Yum!! I was drooling when I saw these on facebook and still am… yum!! Thanks for linking them up to 2 Maids a Baking!! wow! these look incredible! I need to try out this recipe asap! I am your newest follower and would love it if you would check out my blog and follow me too! Thanks! YUMMY!!! Oh my goodness. I love Peanut butter balls, but I think we might love these just as much. Will need to try them. I’m bookmarking it right now. Oh my goodness! These look divine! 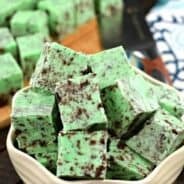 Would love for you to add these to my Memorial Day desserts linky on CajunSugarPie.com! Mmmm…I love cookie dough more than cookies themselves! 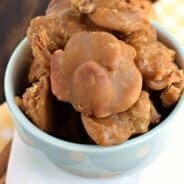 I love that your cookie dough bites have all the flavor without the raw flour and eggs! Hi there, would you be able to help me figure out exactly what ‘candy coating’ is? Is it like chocolate or vanilla bark? I was at my local Bulk Barn (bulk food store) and unfortunately there were just teenagers working and they, like myself, had no idea. I so want to make these but have to figure out the ‘coating’ first. Thanks for any help you can give! You got it. It’s the same as chocolate and vanilla bark!!! My husband is also a big chocolate chip cookie fan, but I’m a cookie dough fanatic. I think these are a match made perfectly for us! These may or may not have made it to the dipping process because I may or may not have eaten them straight from the freezer……just sayin’!!! LOL!!! is it ok to eat raw flour??? My question is what is kosher salt? Sorry, i have never cooked with this. And can you omit it if you like? They look awesome!!! I’m going to use them as a topping for my mothers day cake… I bet my Mom will be thrilled! No baking even if there is flour?